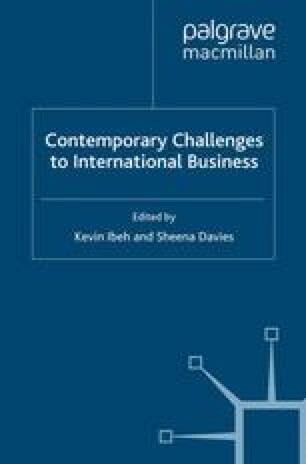 In a recent comparative study undertaken in 2006, the present author investigated the business strategies of German and UK emigrant entrepreneurs based in Spain, with particular attention to their risk mitigation strategies and the role of trust and social networks in mitigating risks among these expatriate groups (see Wilson-Edwardes and Hoecht, 2008). While undertaking our empirical research, the author was alerted by interviewees and desk research to the substantial amount of intra-community fraud that takes place among UK and German emigrant entrepreneurs in Spain. This observation had not been anticipated when the initial research commenced, but it was later found that intra-community fraud within the German and UK expatriate communities in Spain is now such a widespread phenomenon that it has been featured in German media (for example, 3 SAT, 14 July 2006), and to a lesser extent in UK media. During the empirical research, it was found that almost all of the interviewees reported such intra-community fraud and all the key informants (solicitors, accountants and business advisors) reported such incidences. The author wishes to acknowledge the outstanding contribution that Laura Wilson-Edwardes has made to the original research project on entrepreneurs and risk that was funded by the Anglo-German Foundation for the Study of Industrial Society. This chapter draws on some of the results from this joint work (see references) and hence the author is indebted to both the Anglo-German Foundation and to Laura Wilson-Edwardes.